Meet the State of Arizona Requirements and Start e-Prescribing Today! 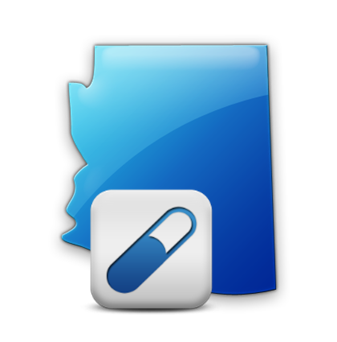 Starting January 1, 2020 the State of Arizona will mandate schedule II controlled substance prescriptions be sent electronically. To combat prescription drug abuse, MDToolbox recommends that all prescriptions be sent electronically and urges prescribers not to wait until the deadline to get started. MDToolbox is an approved vendor in Arizona and our e-Prescribing software, MDToolbox-Rx, meets all of the requirements for e-Prescribing and EPCS. The Arizona Opioid Epidemic Act originally stated prescribers in Arizona had to electronically prescribe schedule II controlled substances by January 1, 2019. The law proposed by Governor Doug Ducey was passed in January 2018 in an effort to combat opioid abuse and addiction. However, in February 2019 Governor Ducey signed into law HB 2075 which delays the e-prescribing requirements for all counties until January 1, 2020. Each medical practitioner who is licensed under Title 32 and who possesses a DEA license is required to register with the Arizona State Board of Pharmacy Controlled Substances Prescriptoin Monitoring Program. As of October 16, 2017 prescribers are required to review a patient's PMP record before prescribing a controlled substance. The Arizona Opioid Epidemic Act also requires all pharmacists to check the Controlled Substances Prescription Monitoring Program prior to dispensing an opioid or benzodiazepine. Arizona participates in NABP PMP InterConnect, allowing them to share PMP data across many other states.